A dossier will be opened for every chief. The National Police will put the heads of its regional departments to re-evaluation starting from 11 May and finishing, tentatively, in July. 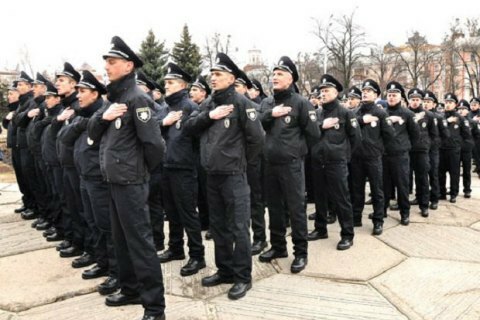 According to the press service of the Interior Ministry, three commissions will re-evaluate 25 to 45 heads of departments and directorates in 16 regions of Ukraine. "During the appraisal, a so-called 'dossier' will be filled for every senior police officer,” National Police chief Khatia Dekanoidze said. She said the commission would scrutinize their income statements and open-source information as well as their performance, including the rate of high-profile cases in the region and the chief's role in their detection. The re-evaluation programme will launch in Chernihiv, Cherkasy, Vinnytsya, Zhytomyr and Kherson regions on 11 May. According to Ivan Varchenko, an adviser to the interior minister, in the course of preparations for the launch of the programme, the loopholes which allowed former employees who were vetted out to get reinstated through courts were removed. Earlier, Dekanoidze said that staff re-evaluation would be completed in six months, while a full-scale structural reform of the police may take up to five years.